Today i've had the privilage to have not one, but 2 bottles of havana club to review. The Añejo Blanco and Añejo especial. According to their website, the añejo blanco is the most aged of all white rums, and the most white of all aged rums. Best suited for your mixed drinks The especial beeing a more aged darker rum. Also perfectly suited for the more classic cocktails, but also suited for drinking on the rocks. First off, the añejo blanco. It's indeed a colorless, clear drink. While the añejo especial kicks in a nice clear golden color. When doing the smell test, i came to the conclusion the description on their website is somehow correct. The blanco has a light odor to it. It has a little bit of a fruity thing going on, but due it having a light smell, the alcohol does kick through. But not in a offensive way. It's a bit of a complex smell, and not as sweat as, a bacardi superior for example. The añejo especial has the same odor, but smells somehow more aged. Probably due a hint of oak comming through. When compairing it to a captain morgan's spiced rum, the smells are way off. The smells in the havana club are much more subtile and harder to pick, while the captain's bombards you with a really sweet caramel/vanilla mix. On to the taste. The blanco has a little bit of fruit going on at the very start. After the initial taste you get a bit more bitter, somewhat oaky aftertaste. Due it beeing not as sweat as the bacardi mentioned earlier the burn is a bit more intense. Mixed it keeps the complex flavor and smell but the oaky aftertaste fades away first. The especial has far less burn going on, but more oaky flavors. 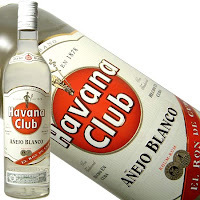 It does keep the destinctive havana club taste, and the difference with the blanco isn't a huge gap. When mixing you also get a hint of vanilla in the especial, that tends to be hidden a bit when drinking it pure. Would be suited on ice ofcourse. When compairing it to the other rums in the same price range, the bacardi superior and captain morgan's i mentioned above ( just because i happend to have them im picking those) it comes out the havana club has it's own distinctive smell and taste. It's a bit more complex and less sweat then the other brands but does have some extra, almost spicey kick to it. For the occasional rumdrinker that might be bad, since the first impression is less sweat, but once you get to look beyond that it's a fine tuned rum for it's pricerange ( around 17 euro's for a 100cl blanco, and the same for a 70cl especial ). The añejo blanco has a 37.5% alcohol content, the añajo especial kicks in at 40%. Overall it got me interrested in the more expensive higher end rums they have, to see if they are a bit smoother then these two. Since that's the only thing i'm missing a bit. If i can manage to find one that is, the local stores around here don't have the biggest assortiment. Since it's a Cuban brand, this won't be sold in the US. For more info about these and other flavors visit the havana club website. 0 Response to "Havana Club Añejo Blanco and Añejo Especial"